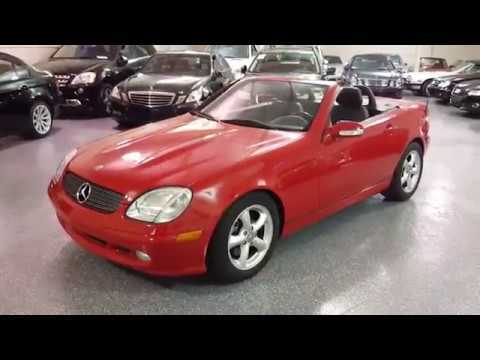 2004 Mercedes SLK320 Convertible, Magma Red with black leather interior, 30K miles. Power retractable hard top, power heated seats, automatic climate control, Bose sound system, stability control, factory roll bars. Smooth V6 engine with 5-speed automatic trans. Fantastic condition inside and out. Engine compartment looks showroom new. Spent its whole like in Naples, Florida, sparingly driven and very well maintained (See CARFAX). New Michelin tires just installed. We are very proud to offer this low mileage creampuff Mercedes convertible for purchase to the next owner for your summer enjoyment. EXTRA CLEAN! Select Motors, LTD. has been visited 13,718,991 times.